Abortiporus is a small genus of wood-rotting fungi that produce irregular polyporoid fruitbodies. In the single local species A. biennis not only are the fruitbodies unusual, in that they are typically rather gnarled and malformed or aborted-looking, but also in that they produce both sexual and asexual spores (chlamydospores). 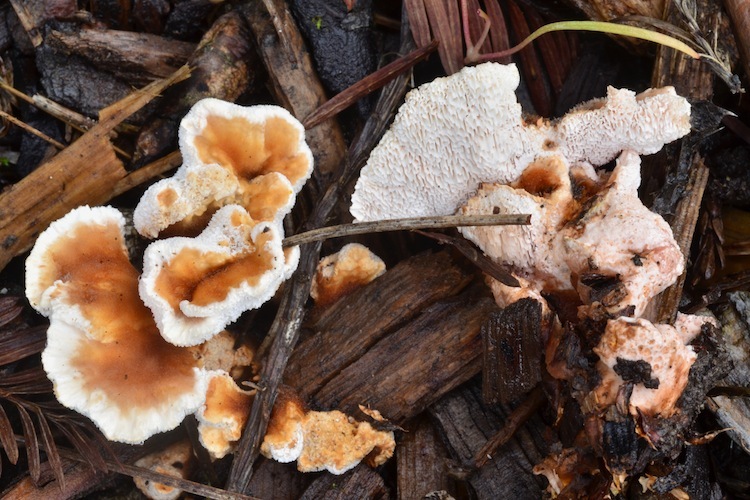 These fungi cause white rot (delignifying decay), and are found both on dead wood and at the bases of living trees. Important identification characters shape, red droplets when young, semiterrestrial habit.